Well, no, I’m not nuts, this really does exist in Ecuador. You see, you’re probably used to a society where credit is free flowing and easily available, 0% APR credit cards, 4% home loans, etc (even after a serious crisis). Well, the rest of the developing world, like in Ecuador, is not like that. Cash is king, and not as easily available in the form of loans. And subsequently worth a lot more. Heck, that’s why I aim for investments that’ll show me at least a 40-50% annual return. Down here, 10% is nothing. You can get that simply depositing your money how I’ll explain now. 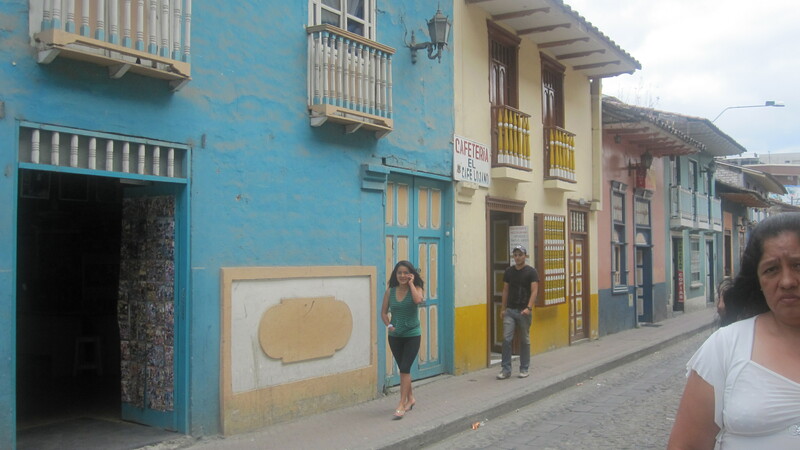 In Ecuador, there are Credit Union-type establishments called “Cooperas” that gather money from a pool of investors and lend it out in the form of micro-financing for business, consumer and housing projects. Often at really high interest rates (20% APR or more) for projects that were turned down by normal banks. That’s why the established credit unions with a legit track record offer around 10% APR to their investors on 6 month – 1 year CDs. I’ve even seen the unestablished fly-by-nighters offer as much as 17% to their investors on 1 year CDs. But those are a little too risky for my blood. Whereas normal banks in Ecuador place tight restrictions on opening accounts for non-resident foreigners, these credit unions don’t! Foreigners can walk right into one of these credit unions and open up a savings account with their passport (and a copy), and a copy of their electric or water bill (it doesn’t have to be in your name), plus an initial deposit of $25. That’s it. You don’t need to be a legal resident or have an Ecuadorian ID card. And you’ve got a place to stash your cash in Ecuador. Once you’re a member of the credit union with an account, you can then invest in CD’s from 1 month to 1 year that often earn around 10% APR, minimum investment for the highest rates is $1000. Well, your money isn’t guaranteed like it is in normal banks, so I certainly wouldn’t invest your whole nest egg here, and some Cooperas are much more legit than others, but there are some with lengthy track records that are trusted by the locals. One many locals trust which has been around for 48 years with offices in the Cuenca area is La Coopera La Merced. They offer 9% APR on one year CDs of $1000 or more. But slightly higher interest rates CAN be negotiated for larger fixed deposits. There are many others with shorter track records that offer in the 10-11% range, and the newbies or higher-risk ones often offer upwards of 14%. Heck, personally, I find these to be at least a little more reliable than the stock market these days.